Hi all, bit of weird question, scouted around for the best place to ask but couldn't find a good place, so I'm creating a new thread. 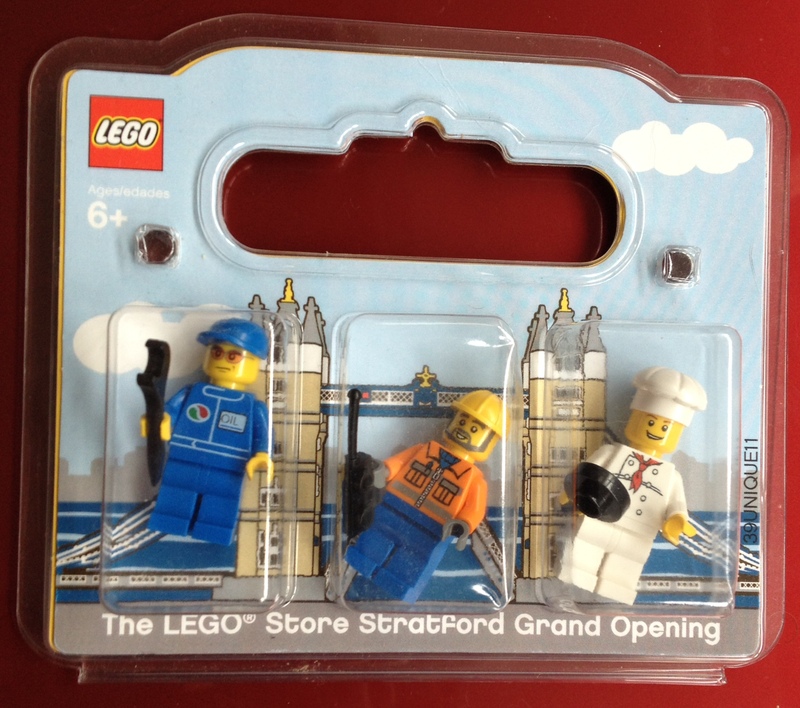 I was just about to list my minifigure pack from one of the London stores in the hopes of making a few quick pennies and discovered that the front of the pack is missing the ## of ## writing. I've checked the brickset listing and image and that writing is definitely supposed to be there. As these were put into my hand by a member of staff on the day of the event I am 100% sure they are the genuine article. Hoping that someone here will have a bit of experience with collecting these and will be able to help with the following questions. Do you have a picture of them. Mostly the number is on the cardboard insert, atleast on the grand opening sets. There is a pack that doesn't have the number but that is a anniversary set. I have an extra store opening fig pack from the Gurnee Mills store that I would like to trade if anyone is interested. @doubledbrick - picture is below as requested, all my others from various stores have the number there, but this one is missing it. Very odd! Anyone have any info on this, or know somewhere where they might? Otherwise I guess I'll just chuck them back in the closet! I'm fairly certain that recent figure packs such as this have a unique figure in them related to the opening. To me that makes it more valuable than a bunch of what appear to be 'common' figures with a special cardboard backer, but again that is only my opinion.